Change the size of food and your appetite with AR system from Tokyo U. 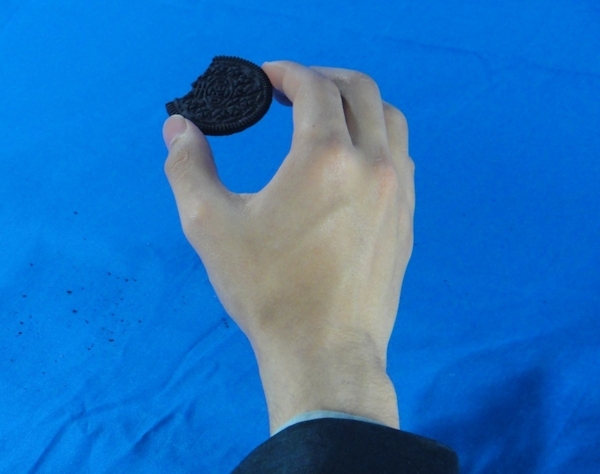 At the University of Tokyo, the Hirose Tanikawa Group has developed an AR system that can manipulate the user’s feeling of having eaten enough, by changing how big the food appears. This system features a head-mount display with a camera, and uses image processing to make food look bigger than it actually is. The size of the food in the hands can be changed in real time, while keeping the size of the hands constant. The system creates a natural image by using a deformation algorithm, to alter the shape of the hands in line with the size of the food.